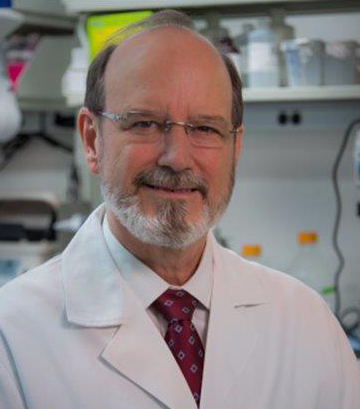 In 2013, Dr. Hamilton established a bioenergetic research initiative at Houston Methodist Research Institute with the objective of identifying mechanisms of altered energy transduction in disease states, especially those involving high energy tissues. Early and ongoing investigations focus on myocardial energetics in the failing heart. Evolving projects now include the mechanistic study of energy strategies in neoplasia and bioenergetic changes associated with estrogen deficiency. A recent novel but growing project addresses the challenge of transferring functional mitochondria into energy altered tissue such as the failing cardiomyocyte or growing neoplastic cell. The investigative methods include the use of pre-clinical models, tissue cultures and human tissue for analysis. Oxygen consumption, respiratory coupling and glycolytic energy transfer using genomics, metabolomic and proteomic methods are also studied. The team includes basic science specialists in biochemistry and cell biology as well as clinical investigators in cardiology, endocrinology and cardiothoracic surgery. These results have been communicated to the local and national scientific community; positive feedback on these results has strengthened the lab’s ability to design a realistic research plan. Estrogen receptor alpha activation enhances mitochondrial function and systemic metabolism in high fat-fed ovariectomized mice. Hamilton, DJ, Minze, LJ, Cao, TN, Lyon, CJ, Geiger, PC, Hsueh, WA & Gupte, AA 2016, Physiological Reports, vol. 4, no. 17, pp. e12913.